Run Cow Run! 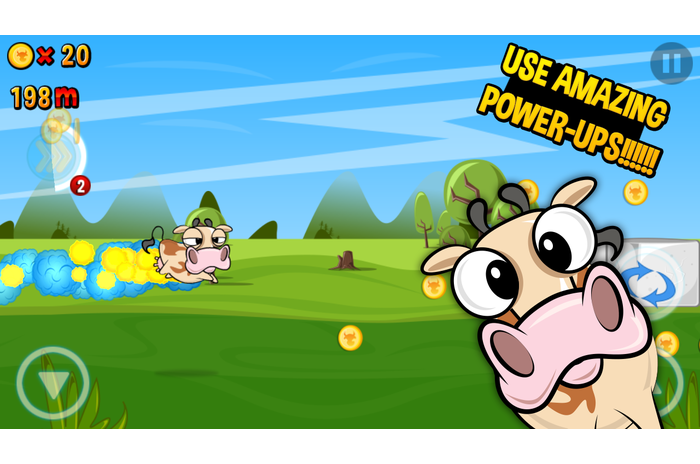 (Run Cow Run) - hilarious 2D runner from the company Oren Bengigi, of which the meat industry does not want to know. One day a little burenka understand what is happening with the farm animals and tries to escape. 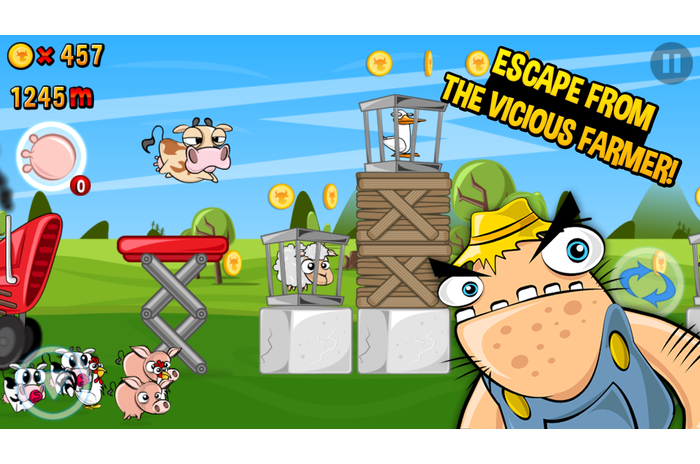 While pursuing her angry farmer, she is trying to save other animals and free them from the cells not to turn into a piece of meat at the slaughterhouse. 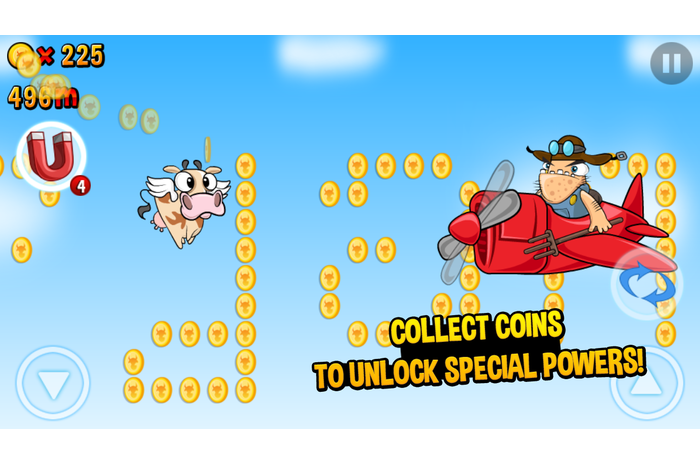 Jump over obstacles, slide under the windmills, fly, speeds, leaping bull, liberate animals from the farm and collect coins to buy bonuses to help Cows get loose. In general, do your best not to be caught! - Free «Run Cow Run» live wallpaper. 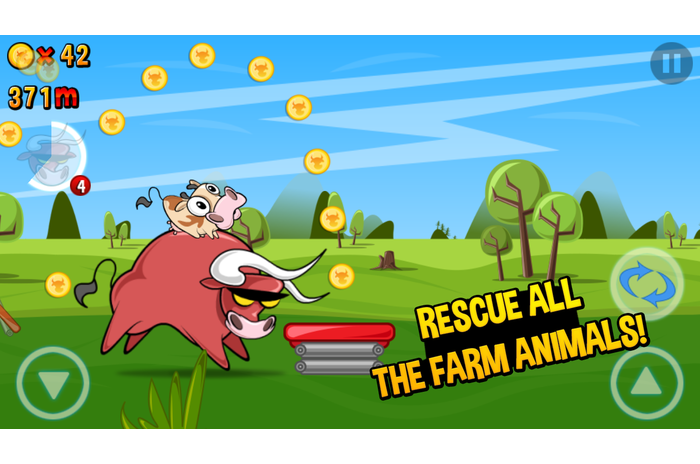 - Free «Run Cow Run» clock widget. - Go vegan, save Burenka! "Are you ready for the long cross-country cow? Then go ahead! "